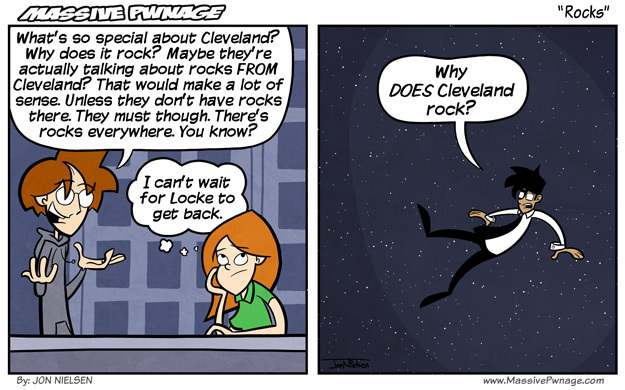 The first comic of the new year, and we’re talking about rocks. You’ll never guess what song I was listening to when I came up with this comic. This entry was posted on Friday, January 1st, 2010 at 12:00 am and is filed under Comics. You can follow any responses to this entry through the RSS 2.0 feed. Both comments and pings are currently closed. Theme song to the Drew Cary show. Cleveland Rocks because the Rock and Roll Hall of Fame is there.